For over 30 years, THSC has been the primary resource for Texas homeschooling families. One of the most common questions that we field is: Should we name our homeschool? Here’s the quick answer: There’s no legal requirement to name your homeschool. You may choose to do so, but first, consider the pros and cons of that choice. Because Texas homeschools are a type of private school, many families choose to name their homeschools in order to project a more official image. In the past, homeschool families faced an uphill battle and deep-seated bias whenever they had to explain what homeschooling was and how it worked. Thus, having an official name for the homeschool helped to overcome some of this bias. Today, the cultural bias against homeschooling is not what it once was. Without question, there are still people and institutions who harbor an extreme distaste for the idea of parents raising and educating their own children. Many more are simply ignorant of current homeschooling laws. 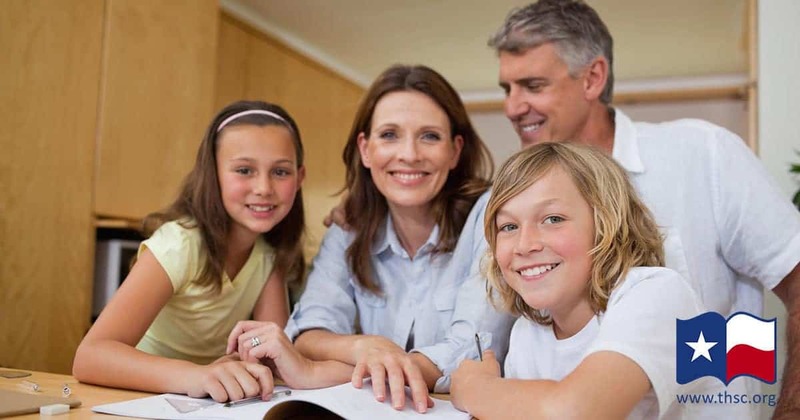 THSC has thus dedicated itself to assisting hundreds of members every year in settling disputes and misunderstandings over homeschooling. However, the increasing cultural acceptance of homeschooling has brought new challenges, impacting even seemingly simple decisions such as naming your homeschool. More specifically, THSC has worked with the Texas Attorney General’s office for several years to shut down “diploma mills,” which attempt to defraud unsuspecting families by taking advantage of homeschooling laws. One of those diploma mills, Marque Learning Center, defrauded as many as 100,000 students, charging each of them between $99 and $1,000 for a bogus high school diploma. Diploma mills are individuals or entities that offer fraudulent high school diplomas to people who have not graduated from high school. They usually market their product to students who dropped out of high school, were expelled from high school, or even to adults who never graduated and are looking for a second chance. It is very common for these illegitimate operations to market themselves as legal, alternative homeschools. According to Texas Education Code 29.916, a homeschool student “means a student who predominantly receives instruction in a general elementary or secondary education program that is provided by the parent, or a person standing in parental authority, in or through the child’s home.” Diploma mills fail this definition for several reasons. First, they typically provide no education at all. They merely sell a diploma to anyone who can pass their test. As with the Marque Learning Center, these tests are often completely bogus. Second, it is not administered through the child’s home by someone standing in parental authority. Although diploma mills have attempted to defraud families by abusing Texas’s unregulated homeschool environment, they ultimately fail the definition of homeschooling provided by the Leeper case and by the Texas Education Code. Just like any other fraudulent operation, diploma mills often have websites and staff members that are professional and friendly. However, this is merely a front for an industry that has swindled families out of hundreds of thousands of dollars. Always ensure the legitimacy of any alternative homeschool programs by carefully reviewing their policies. How Do Diploma Mills Work? To be issued a high school “diploma” from a diploma mill, students often have to do nothing more than just pay a fee. The required fees are often several hundreds of dollars. After paying your fees, the diploma mill will sometimes just print out a diploma and give it to the student immediately. THSC received a call from one victim who received his diploma by visiting the personal residence of a lady he spoke with on the phone, giving her $300 and waiting until she printed out his diploma on her home computer. Other diploma mills require students to take a test that has little or no academic value. After “passing” the test, the student receives the diploma. Lincoln Academy, another diploma mill exposed by the Texas attorney general with help from THSC, was shut down and ordered to pay $1.4 million in compensation to defrauded customers. They were discovered after a basset hound was put through Lincoln Academy’s required test and given an “official” diploma. Still other diploma mills sell a “curriculum” that, once again, has little or no academic value and only separates students from their money. If the curriculum does have academic value, it will often contain no threshold of comprehension that must be reached before the student receives a diploma. After a set period of study time has elapsed, students will sometimes take an assessment test. Some diploma mills simply pass every student who takes the test. Others may give students an unlimited number of attempts to pass the test and will even provide the students with the test answers. The student completes the program if they pass this test on the first try. There is often another waiting period before the graduation ceremony takes place and the diploma is issued. To be clear, there are many legitimate accelerated high school programs. The key difference between a legal program and a fraudulent diploma mill is whether any education actually takes place. If the student is merely paying a fee and receiving a diploma, the program is certainly a fake. It gets more complicated when the program sets up phony tests or provides a bogus curriculum that doesn’t actually teach anything. The bottom line is that you must not use a program which doesn’t require actual academic work and doesn’t measure academic achievement. A diploma from such a program will not get a student into college or even an entry-level job. How Do Diploma Mills Affect Homeschools? Although the rise of diploma mills originally led some to suggest new regulations on homeschools, THSC pointed to the homeschool requirements outlined in the Texas Family Code and the Leeper decision to show that diploma mills are already breaking the law and can be prosecuted. THSC would adamantly oppose increased regulation on homeschooling. Because many diploma mills have been shut down or are being investigated by the Attorney General of Texas, many trade schools, colleges and universities in Texas now have a list of diploma mills in their admissions departments and will flag or reject any applications that come in under those names. As one homeschool student recently found out, even names similar to the listed names can result in rejection. Additionally, businesses and other institutions are increasingly skeptical of any official-sounding high schools that have no web presence or other verifiable credentials. Universities must be even more cautious—they can be held liable if they don’t exercise due diligence to prevent the fraudulent use of federal student aid by students who didn’t actually qualify. Should I Name My Homeschool? For the reasons listed above, THSC does not recommend that homeschool families name their homeschools. If you do, we recommend only including your last name before the word “Homeschool.” For example, “Smith Homeschool” or “Turner Homeschool” are both simple names. Over the past 30 years, the laws and environment for homeschool graduates have changed dramatically in Texas. Our state now has laws which require homeschool students to be treated fairly in college applications. THSC has long worked with state and federal agencies to quickly clear up misunderstandings that relate to homeschooling. We have assisted with issues regarding social security benefits, child support payments, drivers license applications and many others. Even daytime curfew laws, Child Protective Services problems and conflicts with school districts are more easily resolved today than in prior years. That does not mean that conflicts never happen or that your family will never experience one. On the contrary, THSC intervenes on behalf of its members hundreds of times each year to solve conflicts regarding homeschooling. The difference today is that the law is clearly on our side on every front. Families who homeschool in compliance with Texas law are legally protected. There is no longer a need to create an official name for your homeschool to gain extra credibility. In fact, you may find that such a name will invite extra scrutiny by people concerned about fraudulent diploma mills. Should you choose to name your homeschool, we highly recommend not putting this name on any homeschool transcripts, homeschool diplomas, higher education applications, FAFSA financial aid applications or other official documents. These are the places where a name is likely to draw extra scrutiny. When creating homeschool diplomas and transcripts or filling out applications for college and financial aid, we recommend that you simply list “Homeschool” in the name field. As with the SAT and the ACT, colleges have specific codes for homeschools; you should avoid confusing their system or getting flagged for possible fraud. Have You Been Scammed by a Diploma Mill? If you encountered a diploma mill and paid a fee only to receive a fraudulent certificate, we urge you not to stay silent! Please reach out to the Texas Attorney General’s Office and file a consumer fraud complaint with them today. You will help them investigate these fraudulent organizations and protect future families. We believe that parents should be empowered to raise the next generation of leaders, which is why THSC is Keeping Texas Families Free. Join THSC today or consider giving a generous financial gift.